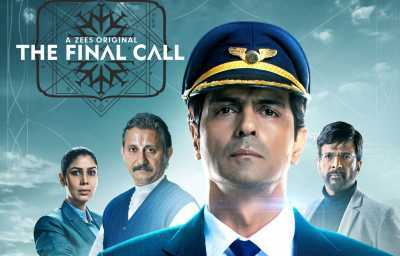 The Final Call is a 2019 Indian web television thriller series based on Priya Kumar’s 2015 novel I Will Go with You: The Flight of a Lifetime. Directed by Vijay Lalwani, it centres around the passengers of a flight from Mumbai to Sydney whose lives are endangered after the captain decides to commit suicide on board. Starring Arjun Rampal, Neeraj Kabi, Sakshi Tanwar, Anupriya Goenka, Javed Jaffrey and Pradeep Rawat, The Final Call premiered on the online streaming platform Zee5 on 22 February 2019.